1. What is Safety IQ? Safety Improvement in Quality (Safety IQ) is a standardized continuous quality improvement (CQI) program that will enable community pharmacies in Manitoba to improve patient safety and ensure better patient health outcomes, while addressing the specific needs and work-flows of community pharmacies. Participants in Safety IQ will anonymously report medication incidents and near misses to the Institute for Safe Medication Practices Canada (ISMP Canada) for analysis leading to suggestions for improvement. 2. What is continuous quality improvement? Continuous Quality Improvement (CQI) is an ongoing approach to problem-solving and harm prevention that focuses on identifying the root cause of a problem and introducing ways to eliminate or reduce the problem. Participants in CQI are also continually reassessing to make sure new efforts are effective. 3. What are the Safety IQ tools? 4. When will Safety IQ be implemented? A Safety IQ Advisory Committee will be considering possible incident and analysis technology options, program requirements, training and education and timelines for provincial roll-out. 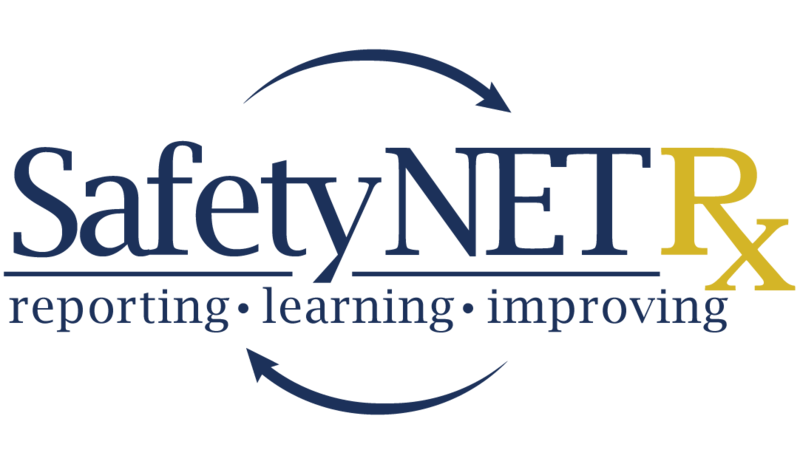 In the first half of 2019, the Safety IQ Advisory Committee will bring forward recommendations to Council on details of the future program and implementation timelines. The College will be keeping membership informed through eQuipped: The Safety IQ newsletter as well as other College publications. 5. What is a near miss and when should it be reported? A near-miss event is an error that could have resulted in inappropriate medication use or patient harm, but was discovered before reaching the patient. Near-miss events are the most common form of medication errors and therefore provide learning opportunity to prevent a similar error from reaching a patient in the future. Pharmacies should consider reporting a near miss that had the potential to cause harm had it not been caught, if the near miss is occurring repeatedly or if pharmacy staff feel it is important to report. The pharmacy staff using their professional judgment may determine if a near miss should be reported. 6. Will the College have access to incident reports? 7. What is the value of Safety IQ? The goal of Safety IQ is to reduce the risk of patient harm caused by medication incidents. 8. What is a safety culture? A safety culture is the shared belief and the practice of healthcare providers to place patient safety as the first priority in providing care to their patients. According to the US Institute of Medicine, “the biggest challenge to moving toward a safer health system is changing the culture from one of blaming individuals for errors to one in which errors are treated not as personal failures, but as opportunities to improve the system and prevent harm.” For community pharmacy, a safety culture optimizes learning from medication incidents and near-miss events in order to prevent future errors and improve patient safety. 9. Does a safety culture discourage accountability? Medication errors are rarely caused by a single event or the actions of a single person. Analysis of medication incidents and near-misses often reveals a system failure or environmental factors that must be changed to prevent medication incidents. A safety culture encourages healthcare providers to be open about medication incidents and near-misses so they can be reported, analyzed, and changes in practice can be made to prevent re occurrences and this information can be shared with others. Healthcare providers are still held accountable when errors are the result of neglect or incompetence, but these situations are rare. Healthcare providers benefit from understanding why an error occurred and knowing that new safeguards have been put in place to prevent the error from happening again. 10. Where can I find more information about Safety IQ? www.cphm.ca or by calling the College at 204-233-1411. For additional information about medication incidents and near misses, please visit ISMP Canada’s website at www.ismp-canada.org and www.safemedicationuse.ca/ . Safety IQ Q & A PDF version [ download ].